I hated being pregnant. I was not one of those woman who glow – oh no! A better description of me would be; I grumped my way through pregnancy. I had terrible morning sickness with them all and then for the remaining months every part of my body seemed to hurt and I was so ridiculously tired a late night was 8:30pm. In my opinion pregnancy pretty much sucked (I know you are all thinking, “why on earth did she do it four times then? !”) There was however one part of the pregnancy months I did enjoy – the chance to choose my baby’s name. I loved finding names, sounding them out, adding middle names and even changing my mind. Our name is so much part of our identity. It’s how people know us and call us. Our name is something very special to who we uniquely are. I love the story of Zacchaeus in the bible found in Luke 19:1-9. Zacchaeus was a very influential and apparently very short man. The bible doesn’t specify how short but when he was standing in a crowd he couldn’t see a thing. Zacchaeus desperately wanted to see Jesus – just see him. He must have heard a lot about this man called Jesus and wanted to know what all the fuss was about. So one day he joined the crowd in the street who had all come out because Jesus was in town. I imagine the scene something like Queen Street in Auckland at the Christmas parade – too many people to possibly move with ease and often you are on your tip toes swaying one side to the other trying to see over the people in front with little success. How many influential men do you know that would climb a tree to have a look at someone let alone run to do it, in his curiosity he threw aside all inhibitions and pretense and did exactly that, run and climb a tree – just so he could see this Jesus. Astonishing! Of all the people Jesus could have noticed that day, he noticed the man up a tree. But not only did he notice him – he called him by name. It’s the same with you. Jesus notices you and he knows your name. He is calling you. He is calling you to come to know him better. He is calling you to give all your worries to him. He is calling you by name because he knows your name. 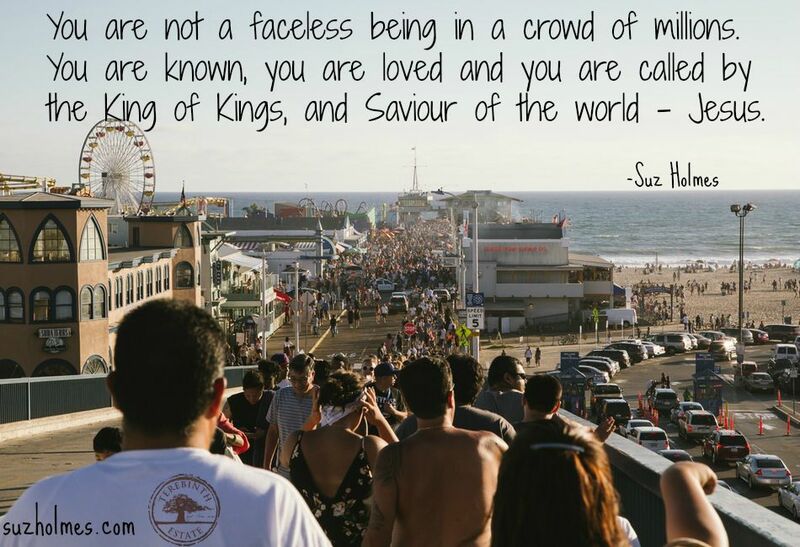 You are not a faceless being in a crowd of millions. You are known, you are loved and you are called by the King of Kings, and Saviour of the world – Jesus. Why don’t you say Yes to him today?